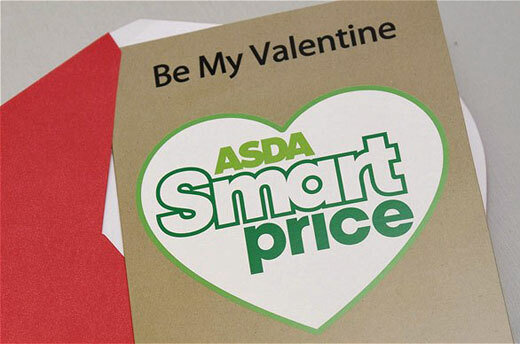 Venal & Grabbit have endorsed Asda's 7p "Smart Price" Valentine's card. Senior Partner Edgar Venal said: "In these times of economic hardship it makes sense not to spend too much on your partner's Valentine's Day card. I'm sure anyone receiving such a card will appreciate how their loved one has put frugality first when choosing how to show their affection... by the way, my telephone number is 01234 666-666." ha Nothing says i love you like a 7p asda card! Who makes this kind of thing, and more importantly who actually buys it?